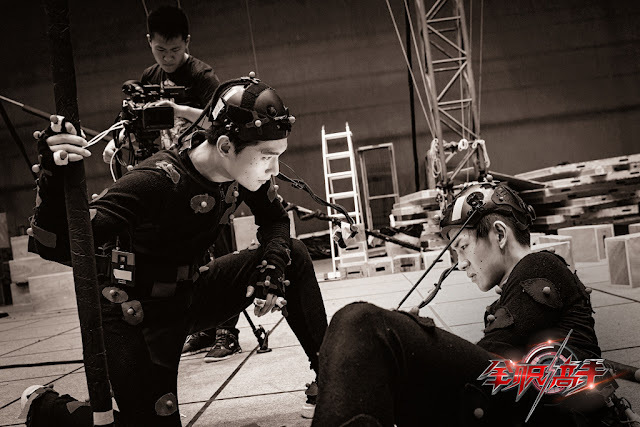 The King's Avatar 全职高手 has wrapped filming last September and posted some behind-the-scenes photos. It's all in black and white maybe because they don't want to give anything away. In contrast, the full-blown poster complete with anime-like elements look very exciting and fun. 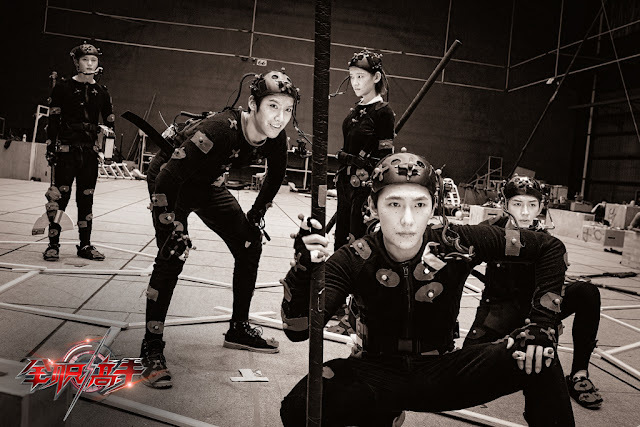 I'm glad that Yang Yang is finally back in a gaming drama. 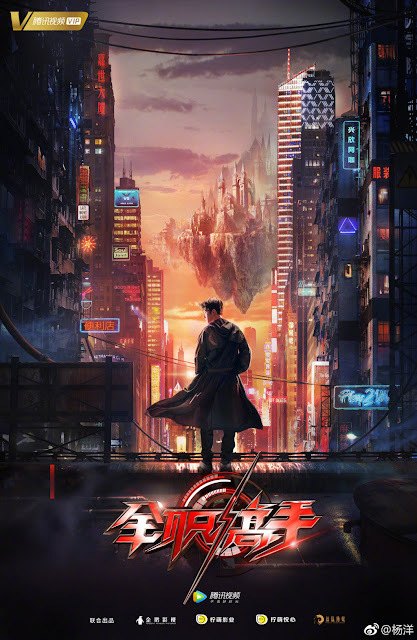 He starred in Love O2O before and gained a lot of popularity because of it, so I'm kind of expecting a lot from him in this one. I've seen the anime version of The King's Avatar and the fighting scenes were the best parts. The story overall was captivating so I know that this is a story worth my time. 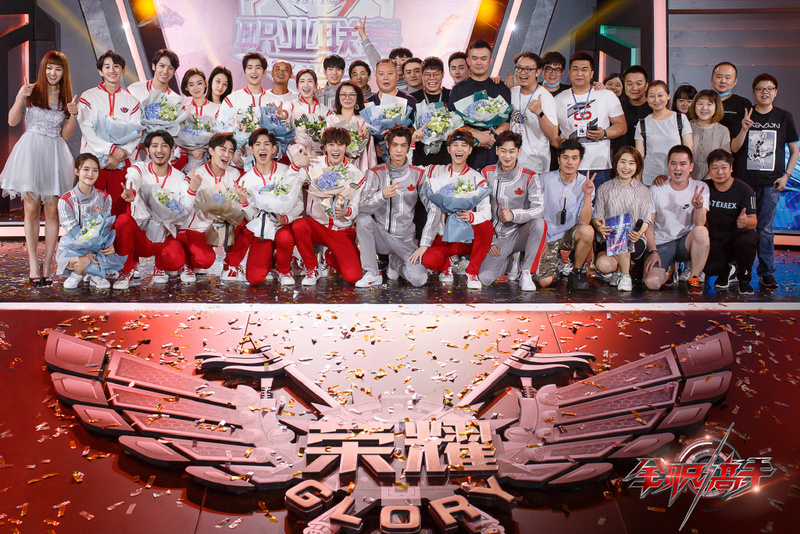 It revolves around Xiu/Ye Qiu (Yang Yang) who ranked as a professional top player but got removed from his profession after 10 years of playing "Glory." He eventually sets up a new account and starts over. 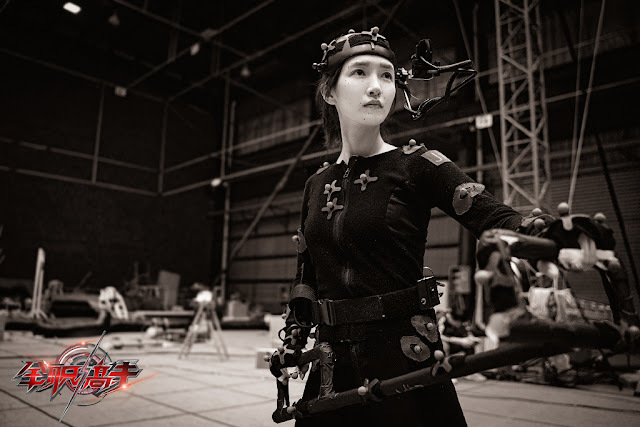 Action is undeniably a big part of this which is why the cast starring Yang Yang, Maggie Jiang Shuying and Leon Lai Yi among others are in motion capture suits. 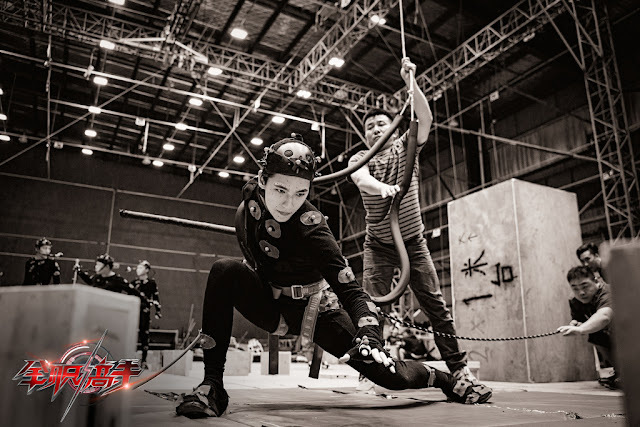 AS long as his character is not a goofy, childish, hyperactive kid, he will be fine in the drama. Finally finished filming. I hope this drama doesn't disappoint me.